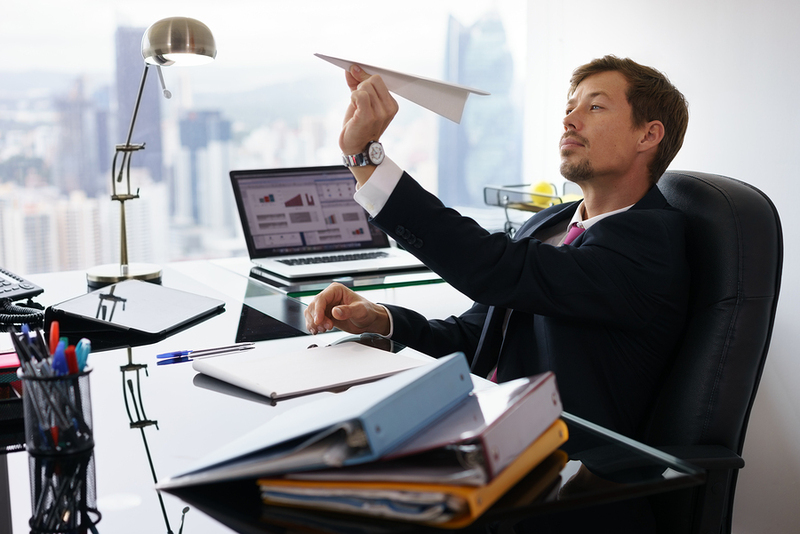 Where Did the 8-Hour Workday Go? Do you put in your eight hours a day at work? Does the standard 8-hour workday truly exist? On the surface, the 8-hour workday is the accepted norm across North America and in many countries around the world, but is this the way people really work? With a global shift into the age of technology, this question is more valid than ever. Here’s why. The late 18th-century rise of factory work was responsible for long work days until the early 1800s, when British citizen Robert Owen stood up and said, “Enough!” He wanted to put an end to the long 10 to 16-hour days. According to Today I Found Out and reported by Huffington Post, Owen suggested eight hours for work, eight hours for recreation, and eight hours for rest. That was a pretty smart suggestion, but it didn’t catch on. At least not right away. It wasn’t until nearly 100 years later—in 1914—that business owners chose to implement the first 8-hour workday. One of the first to do this was the Ford Motor Company. Ford also doubled the worker’s salary and the result was a huge increase in productivity and a doubling of Ford’s profits. Once this happened and other business owners could see the value in the 8-hour workday, they jumped onboard, and by 1937, the U.S. government had standardized the 8-hour workday. Is the workday really eight hours? The 8-hour workday is the result of an industrialized society, one in which businesses were designed and structured to operate within the confines of those eight hours, generally from 9am to 5pm. But is this really the case? Do people work an 8-hour day and then call it quits, enjoy family time, go hiking, or create a work of art? Do you do this? Top Universities reports official statistics from the Organisation for Economic Co-operation and Development (OECD) that indicate the average working week in the U.S. is 32.69 hours, which works out to 6.5 hours per day. But do the stats reflect reality? Not according to the average worker. There is plenty of anecdotal evidence that shows that, while the official expectation is eight hours per day, it is common for workers to work more than that, even as many as 12 hours per day, particularly in the medical, legal, and airline sectors. Despite the results from the OECD, a Gallup poll conducted in 2014 showed only 42 percent of workers worked a 40-hour week, and eight percent worked fewer than 40 hours. That means 50 percent of workers in the U.S. reported working more than 40 hours per week, with the average being 47 hours. This is a lot higher than the 32.69 hours reported by the OECD. If the U.S. cannot keep to the standard 40-hour work week, then what about the rest of the world? It turns out that there are countries that are better than the U.S. in terms of hours worked per week, but there are also countries that fare worse. The Netherlands is one of the better ones. CNN Money reports that in the Netherlands, the standard work week now completed within 4 days, with the average hours per week at 29. This equals 7.25 hours per day. In fact, workers in many European countries such as France, Norway and the Netherlands tend to clock up fewer hours. Yet, other European countries such as Poland, Greece, and Russia, average more working hours than the U.S. Working hours in Asia and South America also tend to be on the higher end of the scale. Mexico is the highest, with 8.6 hours per day (based on OECD data). Clearly, the U.S. is not the only culprit when it comes to long work days, but how is this changing in the 21st century? The industrial age has ended. The technological age has arrived. Technology allows us to be connected with each other from anywhere in the world, at any time. It has automated many of the tasks people did during the industrial age. It has given rise to the knowledge-based worker, whose primary tool is the PC and, more commonly, portable devices. Chances are you use at least one electronic device as an everyday part of your work. So, how has the explosion of technological advancement that has taken place in recent years affected the average number of hours worked? According to data published by Ipsos, although 61 percent of American Knowledge Workers are committed to working 40-hour weeks, there is a huge range of actual hours worked that go as high as 140 hours per week! When asked if they work more or fewer hours, 33 percent of respondents reported the number of hours did not change as they switched to the use of modern technology, and 41 percent said they worked somewhat more or a lot more hours. The ability to take care of their family and other personal issues when the need arises. Being able to work at times when their productivity is at its highest. Feeling less stressed and overloaded, resulting in less chance of burnout. The potential for fewer childcare hours needed, saving an employee’s money. The possibility of telecommuting for at least part of the week, saving on the time and expense of commuting. There is less absenteeism, simply because employees don’t have to miss an entire day of work for appointments or even when they are sick. Employees are happier and more productive and there is increased office morale. There is a lower staff turnover rate, saving employers money in hiring and training new employees. There is a greater chance of attracting top talent. Hours of operation for the business as a whole and/or certain departments can be extended, providing the company with greater productivity spread across more hours in a day. Finding solid blocks of time to get focused work done. Potential distractions when working away from the office. Difficulty in separating work time from family/personal time. This last point can directly affect the number of hours worked by employees because it’s common for people to work longer hours when the flexibility is there. Many people have their work with them wherever they go and this can make it difficult to shut off. Scientific American reports that people who telecommute and have flexible work hours tend to work between five and seven more hours a week than the standard 40. Around the world, there are differing opinions on how the flexible work schedule impacts the family and personal life of workers. Ipsos reports that many workers in countries around the world feel flexible work schedules put a strain on the boundaries between work and family life, with those who feel most strongly about this in Turkey, India and Saudi Arabia. However, the benefits of flexible work hours far outweigh the disadvantages, provided we approach work differently. Despite the fact that many people are working the same number or longer hours with today’s technology, we are working differently. With flexible working, employees and contingent workers have the flexibility to work when it suits them, allowing them to take advantage of the time of day when they are at their peak productivity. Some people work better in the morning, some in the afternoon, and some at night. Speaking of peak productivity, Huffington Post reports that Tiny Schwartz, the author of “Manage Your Energy, Not Your Time,” talks about ultradian cycles, which is a natural cycle for the mental energy of human beings. Essentially, people can focus on a task for 90-120 minutes before needing a break of 20-30 minutes in order to recharge our mental battery. Again, paying attention to the mental energy of an individual is a result of the age of technology, rather than the age of industry, when tasks tended to be more physical in nature. For this reason, it is of great benefit to you—whether you are self-employed or employed by someone else—to consider restructuring your workday to take advantage of the ultradian cycle, dividing your day into segments of 90 minutes. This could significantly increase your productivity. Forbes says, “learn to unplug.” Even people who don’t regularly or officially telecommute can and do bring their work home with them. But there comes a time when you have to shut off the electronic devices and just be in your life, with your family, enjoying the moment. This means when you are at your kid’s football game, don’t answer work texts or emails. When you are at a movie with your significant other, don’t check in with the office. Forbes also recommends ridding your life of people and activities that waste your time. Determine what aspects of your work and personal life are high priorities and focus on those, pushing everything else to the background or foregoing it altogether. This includes getting rid of or changing habits that add stress and take time away from your schedule. Business Advice says do not bring any electronic devices into the bedroom. This is your refuge, a place for rest, not a place to check text messages and emails or read a report for work. Business Advice also recommends turning off email and text notifications when you are done with work for the day. If you are serious about shutting off the work portion of your life, you have to shut off the electronic devices that connect you to work. Otherwise, it’s pretty difficult to ignore the notifications from work when they come in at all hours. If you do work from home for at least some of your week, get dressed and have a place to work that is dedicated only to work, be it a separate home office or a desk that can be put away during your off hours. The traditional 8-hour workday may be long gone for many of us, but it’s not as bad as it seems. With the flexibility and mobility technology provides, more and more people are reaping the benefits of working when and where they want. Just as the 9-to-5 is evolving, so must our mindset and the way we approach work. Our 24/7 society has broken down the work-life divide, so build new barriers to avoid burnout. What will you do to ensure a healthy work-life balance going forward.